I was at work today, which is a thing that less and less birders appear to be doing, when I saw some tweets, from those without jobs, about a shore lark at Druridge. 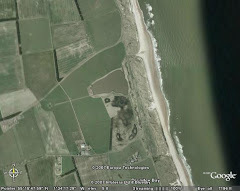 Luckily, I wasn't far away from Druridge and had eaten my lunch on the hoof, so could afford a quick dash to the patch. 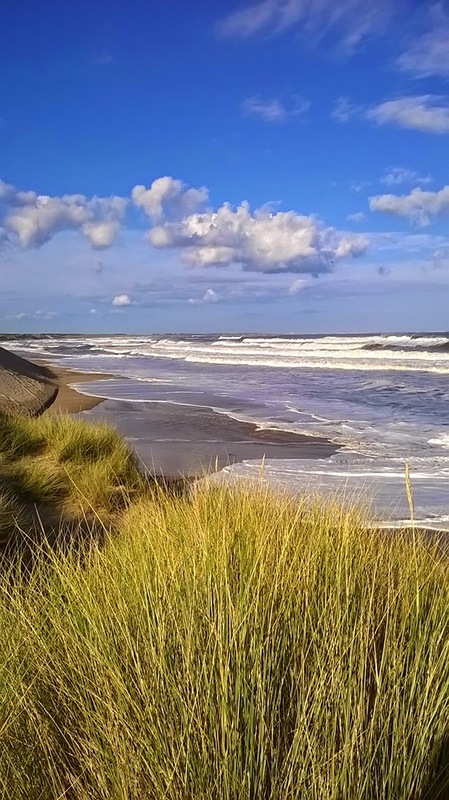 I had the forethought to put my wellies on, and legged it to the beach, when I got to the top of the dune, the tide was well and truly in - I feared the worst. Further north, at the Dunbar burn, I spotted some photographers, lenses pointed down the dune front, they kept moving and I presumed the bird was too. At this rate they'd chase it to Chevington. I staggered along the beach, wading the burn (thank god for the wellies), the incoming waves lapping at my feet as I set up my scope. 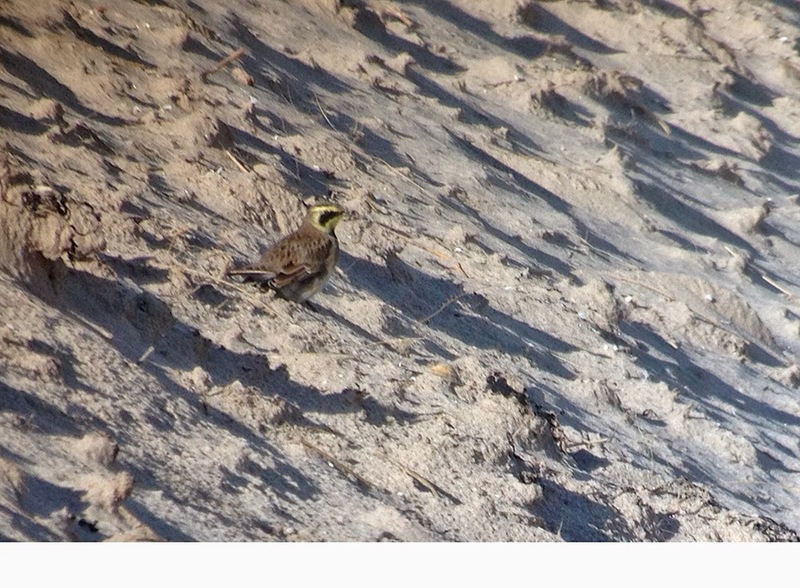 And there it was, the shore lark on the front of the dune, about level with the Druridge bushes. I watched it for a while, it was going down onto the beach to feed between waves, flying back up to the dune when a breaker rolled in. I managed to get some video of it, just hand-held the iPhone up to my scope. Shorelark druridge from Iain Robson on Vimeo. 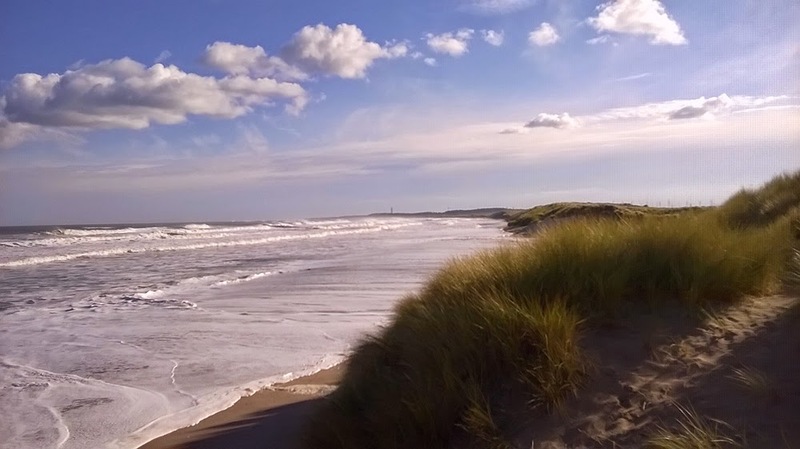 The tide was huge (5.2m at Amble), with a big swell. Quite impressive - could be good for grey phalarope somewhere tomorrow. On my way back to the car, I popped into the bushes (as you do) and flushed a woodcock, my first of the Autumn. i wonder how many good birds are found by the jobless?